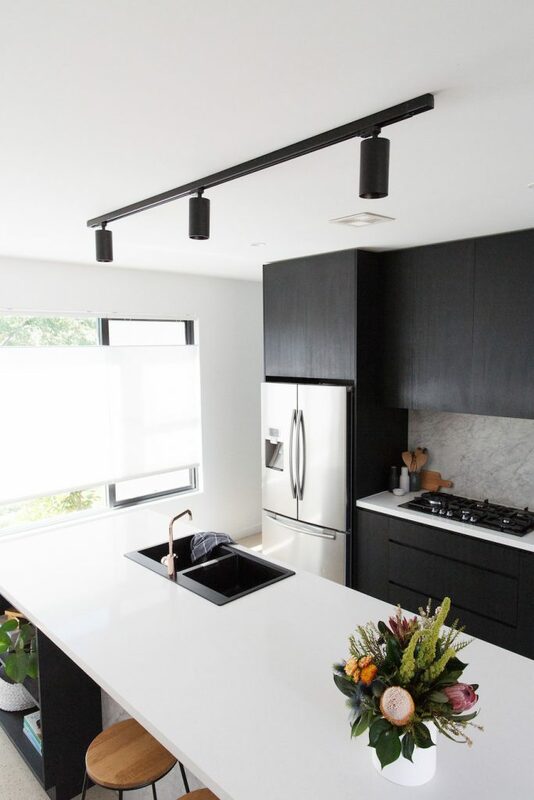 It may have taken 2 years but I finally found the perfect light for our kitchen — a sleek, matte black track light with 3 spotlights from project illumination specialists Experience La Luce. During our build, we had a lighting expert design a lighting plan for us, which included a light above the kitchen bench. 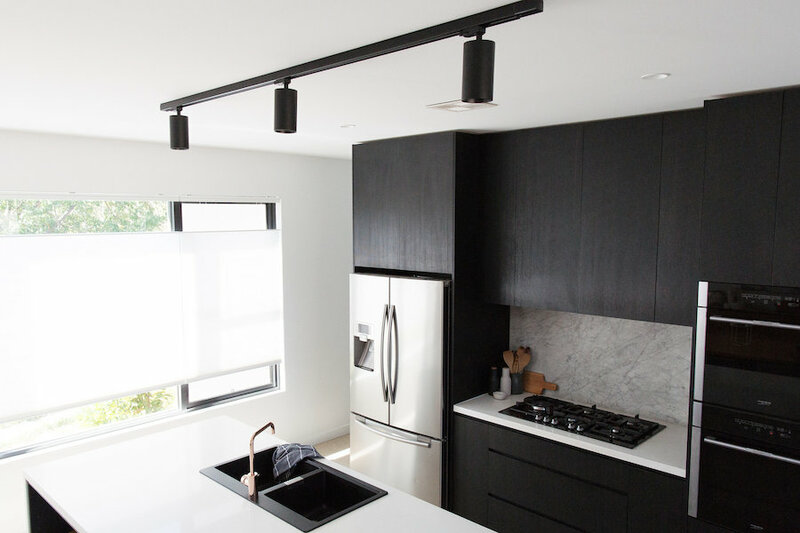 Originally we were planning on installing a suspended linear fitting but once the dining pendant light went in, I started to think it would be too much to have 2 pendants so close together so we left the kitchen light out (but ran wiring to allow for a light in future). Months went by and then years and I still hadn’t found the right light for our kitchen! Then I was introduced to Experience La Luce, a unique supplier of quality commercial, industrial and architectural lighting products. 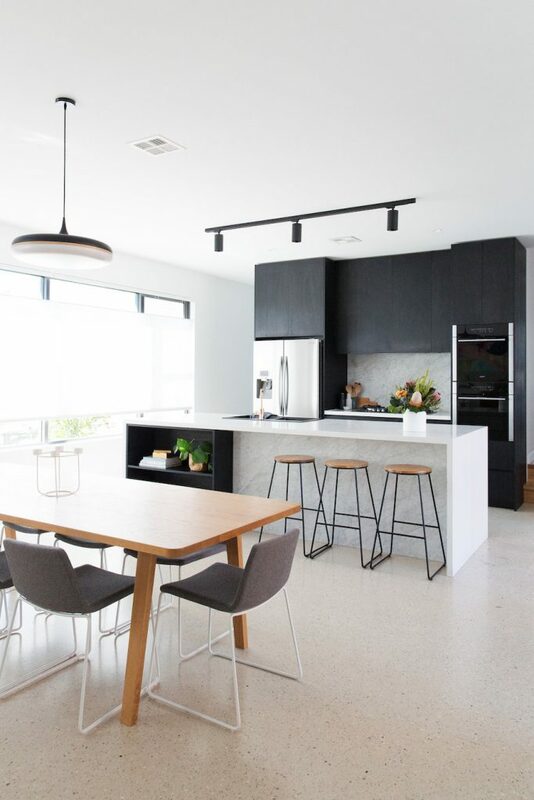 Based in Sydney, they work Australia-wide and have an incredible range of modern lights, including ceiling fixtures, spotlight systems, recessed lights, pendants and outdoor lights too. I spoke with their team about my kitchen and the type of look I wanted to create and they recommended the Danny T Air. It’s a minimalist ceiling mount track light and I loved the look of it right away. All that was left to decide was what size, whether to go with black or white, and what coloured rims to have in the spotlights (black, white or gold). I decided to go with a 2m track with 3 black spotlights and black rims and had the light installed last week. I couldn’t be happier with how it looks in our kitchen — it provides definition and much needed task lighting! I’m so happy to have ticked off another job on my seemingly endless list of ‘to dos’ around the home, haha. 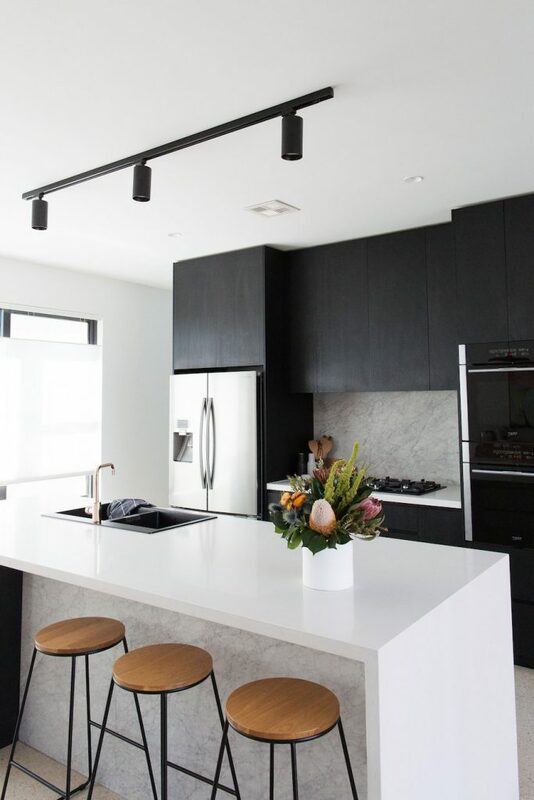 If you’re looking for architectural lights for your home, I recommend talking with the team at Experience La Luce who were so helpful in finding the perfect fit for my home. *Disclaimer: This light was provided but all thoughts and opinions expressed in this article are my own. What is the name of the stone splash-back and bench-top you used? Just wondering what length the island bench is? I have a 3 mt island bench & trying to work out how long the light track should be in relation to bench length? I have the option of 2mt or 2.4mt track. Thank you! HI! Will you share where your bar stools are from? Thanks! Could I ask what downlight you used, and what do you have any idea what colour temperature of light bulbs is best for the kitchen? Ours is similar to yours in regards to having a lot of natural light, but that doesn’t really help at night time, does it? Thank you. I ended up ordering the black lights and went through Experience La Luce on your recommendation. 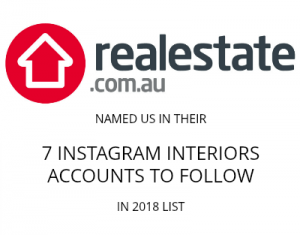 This company is hands down the worst company I have had to deal with during my kitchen renovation.i don’t know how they are still in business. They barely answer phones but then once I got contact there was always 3-4 days lag between further contact and that was only because I harassed them. Finally my order arrived but alas the track was missing. I would not recommend them to anyone and thought you should know my experience. Maybe if I had a blog it may have been better. 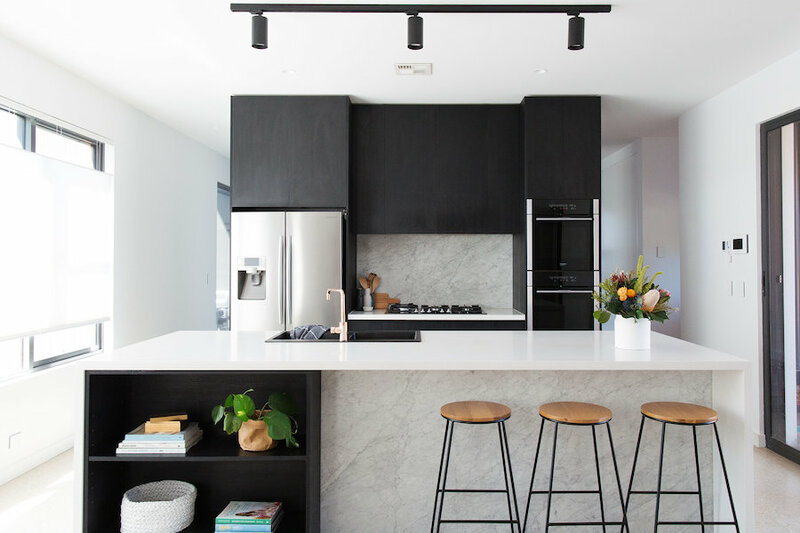 Love the colour palette, could you please tell me what the black cabinet finish is?